New World Interactive's Day of Infamy received another free update today. This time two new maps, Dunkirk and Breville, have been added and can be enjoyed cooperatively. New Map: Dunkirk - The Wehrmacht push back the Commonwealth forces to the beaches as they capture the town. 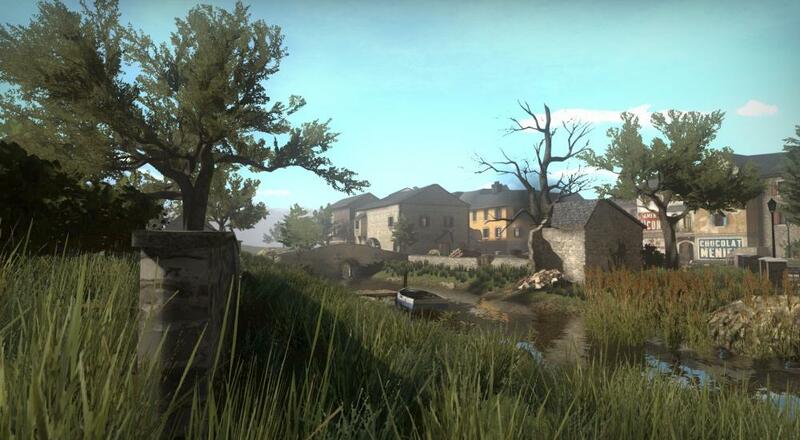 New Map: Breville - Allied soldiers attempt to capture this sunny French town during the invasion of Normandy. New foliage system - Grassy fields add an immersive layer of concealment to many of Day of Infamy’s maps, improving the graphic fidelity of the Source engine. The genesis of the first of these maps is thanks, in part, to Christopher Nolan's new film, "Dunkirk," which is a dramatic retelling of the Dunkirk evacuation during the early days of World War II. The second is based on the Battle of Bréville that occurred four years later during the Normandy Invasion. You can check out the developers playing through these new maps later today (July 21) on their Twitch channel around 12:00 pm EDT. Day of Infamy is available on PC and Mac via Steam for $19.99. It supports up to eight players online in the two co-op modes: Stronghold and Entrenchment. Page created in 0.8969 seconds.